There’s nothing quite like open top motoring. Driving with the roof down can make driving fun again for those who have grown bored of it. But there are some things you need to know before you buy your first cabriolet car. The first thing you need to know before buying a convertible car is when to purchase one. Getting a convertible when the weather’s great and the market is full of buyers will leave you paying top dollar. Get your new car in the autumn when dealers are prepared to make offers and second hand car sellers will have less buyers offering them cash. If you’re wondering “are convertibles safe?”, you might not like the answer. The lack of a roof means that the car’s crash structure is compromised. Rollover bars that are either fixed or pop up in the event of an accident offer some safety but without a roof it’s harder for engineers to create a “safety structure” within the cabin. The lack of a roof also damages the car’s handling. As with the safety aspect, the open air motoring experience leaves engineers with design issues when they create the car. A convertible version of a car will often have less stiffness in the chassis. The result is a car that doesn’t grip as well in the corners. 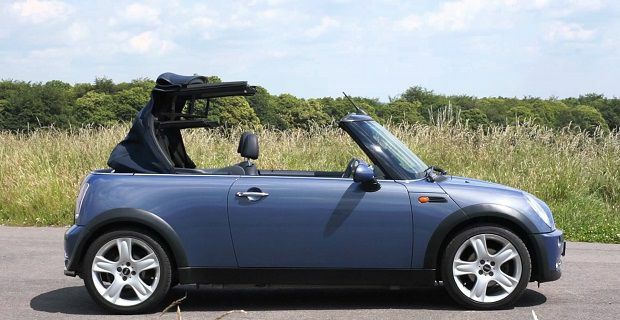 You’ll also find that your convertible has less luggage space in the boot as this space is needed to store the roof. The backseats are also compromised in a convertible as the roof’s mechanism takes up some of the compartment space. So open air motoring is a compromise. The experience of wind in your hair is great but it can leave you cold, so spec your cabriolet vehicle with heated seats if they’re an option. If you can afford a Mercedes or a Bentley, you’ll have hot air channelled to you through the headrests.